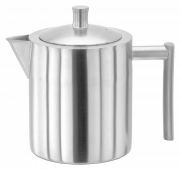 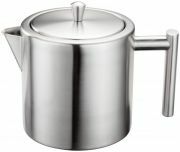 Stainless Steel Teapots - View our range of products here from Anthony Ryans cookware shop for excellent quality Stainless Steel Teapots to suit your needs. 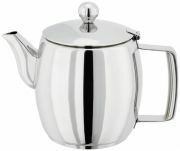 There is really nothing that can compare to a good pot of tea, the comfort of knowing that there is a top up waiting there for you. 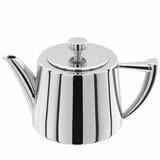 Stainless steel will keep your tea warm and you also will have the option to let it simmer on the hob. 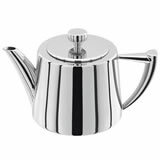 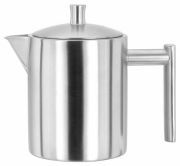 Robust but yet appealing to the eye a stainless steel teapot is a great option with different shapes and sizes all available.